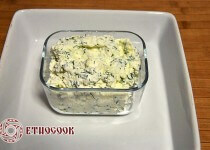 The dish knydli is very famous and well known all over the world. 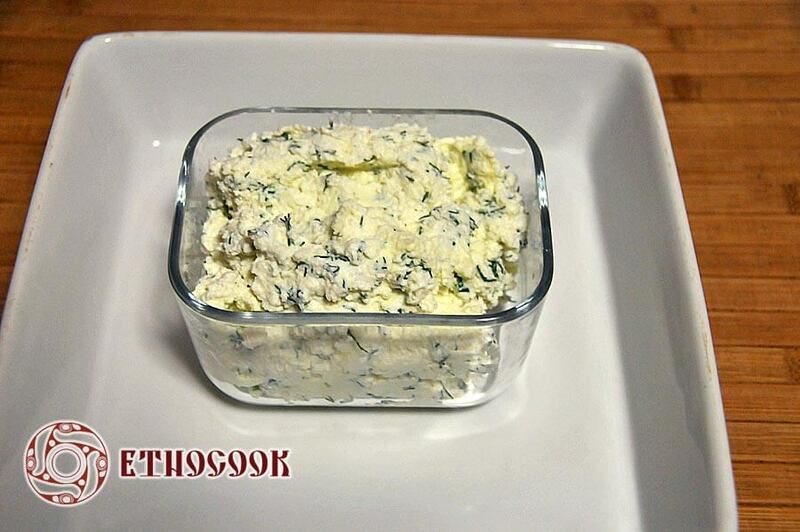 Easy in preparation it is very healthy because it is made of vegetables and cottage cheese with greenery. 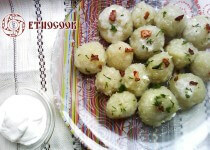 Knydli is more modern side dish. 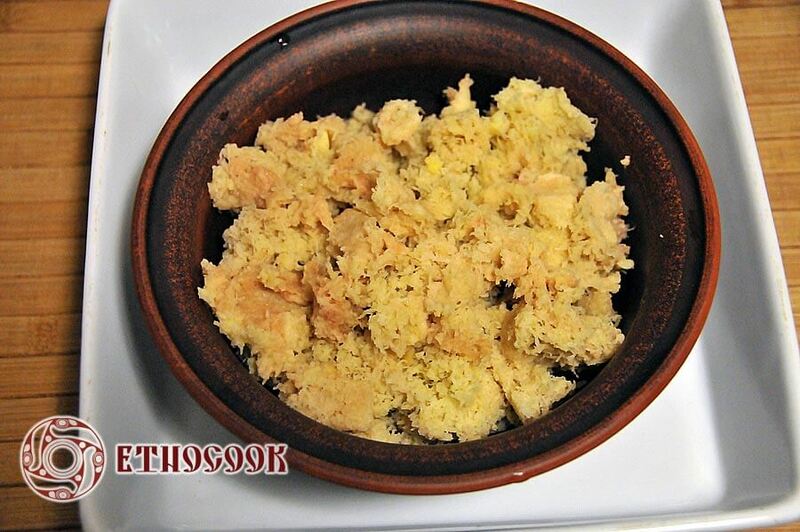 Actually it is neither very traditional nor ancient dish because it is made of potato. Potato was brought from South America to Europe in the second half of the XVI century by the Spanish after the discovery of America by Christopher Columbus. Many years passed before people studied how to cook this vegetable. In France in the late 18th century women wore potato flowers in hair, made from them bouquets. In Germany people grew potatoes on flower beds in front of palaces. The villagers tried to eat it like fruit, but raw green vegetables were poisonous. 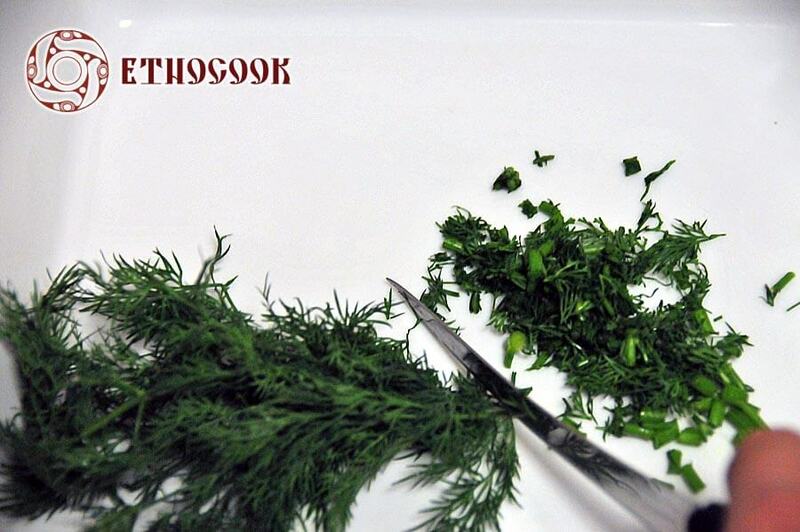 In Ukraine it was first planted in 1805 in Kharkiv Region. Cossacks knew potatoes, but as a trophy, which they acquired in the campaigns. On the territory of the Ukrainian Carpathians potato came from the Austrian Empire and a long time was not perceived by the local population. Hutsuly liked freedom very much and were afraid of the possibility that potato was a way to tie them to the ground and make them farmers. They began to cultivate it in the end of the nineteenth century. 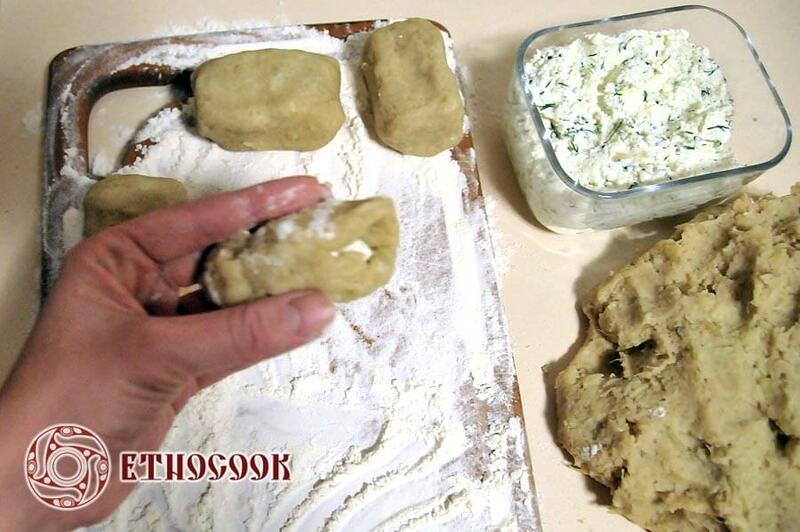 Potato came to the Ukrainian cuisine and had a great influence on it. 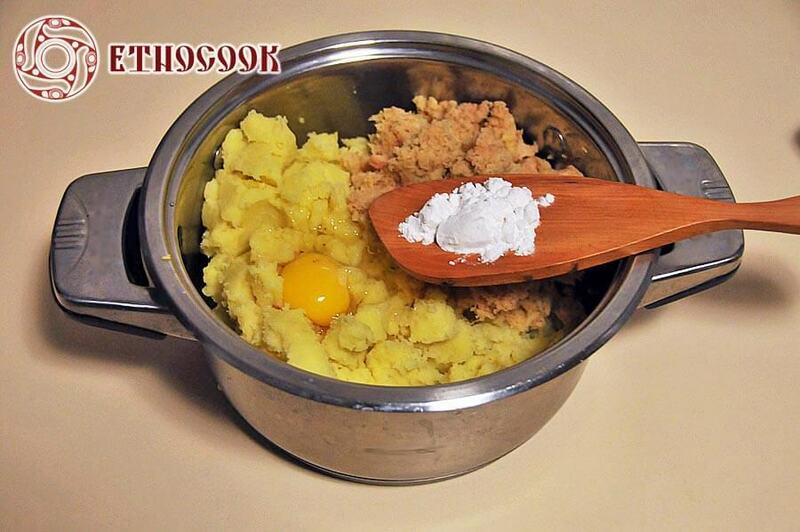 It is also called “the second bread” of Ukraine and is added to a lot of our traditional dishes like varenyky, borshch, galushky. 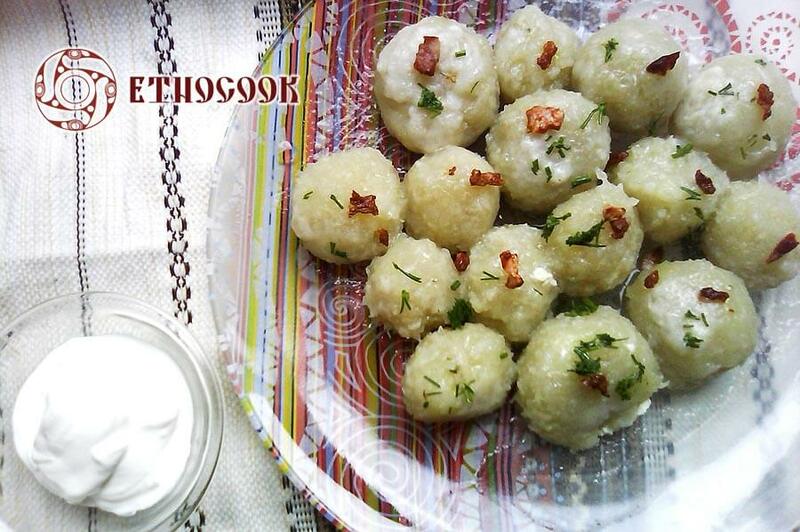 Knydli are the variety of dumplings made of grated and boiled potato and are very popular among the population of Western Slavic countries. 1. 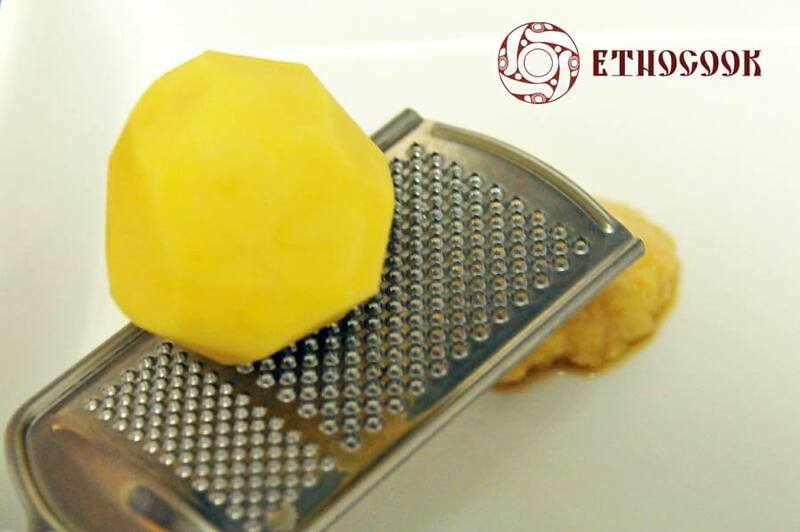 The bigger part of potatoes (1 kg) thoroughly wash , clean and rub on a grater . 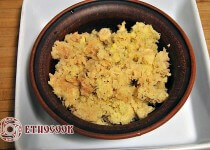 2.Grated potatoes filter from potato juice through cheesecloth or a sieve, leaving the dry mass, juice is not needed. 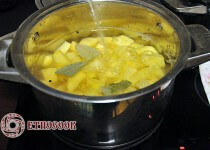 3.The rest of the potatoes ( 1/2 kg) wash , clean, cut into small pieces and boil . 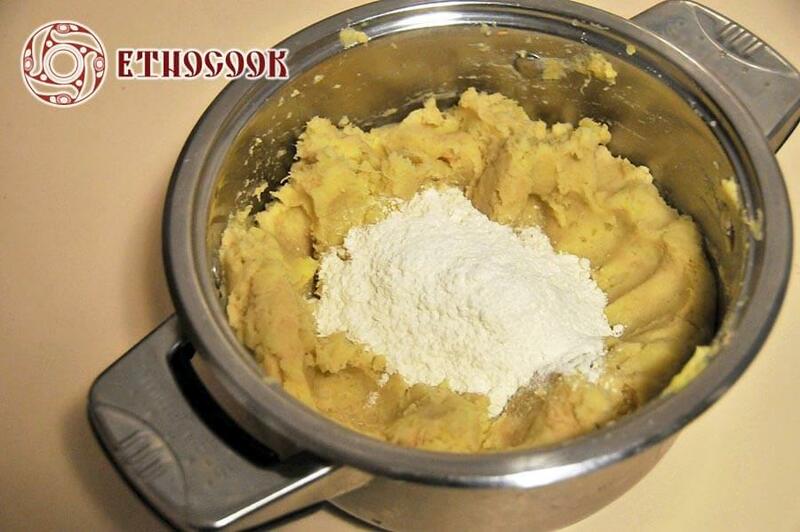 4.Drain the water from boiled potatoes and mash. 5. 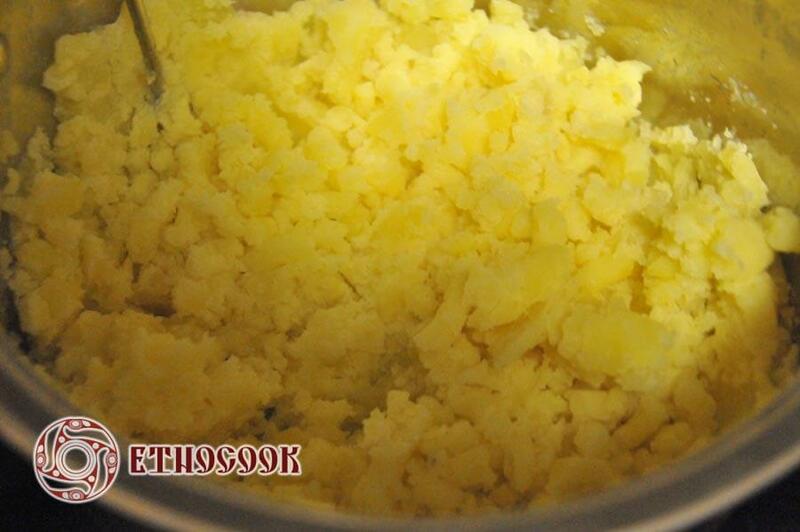 In one deep plate put potatoes grated and boiled add egg, starch, salt and pepper to taste, stir. 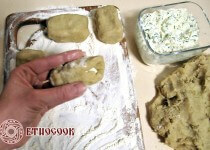 6.To the mix add flour and fold dough for knydli . 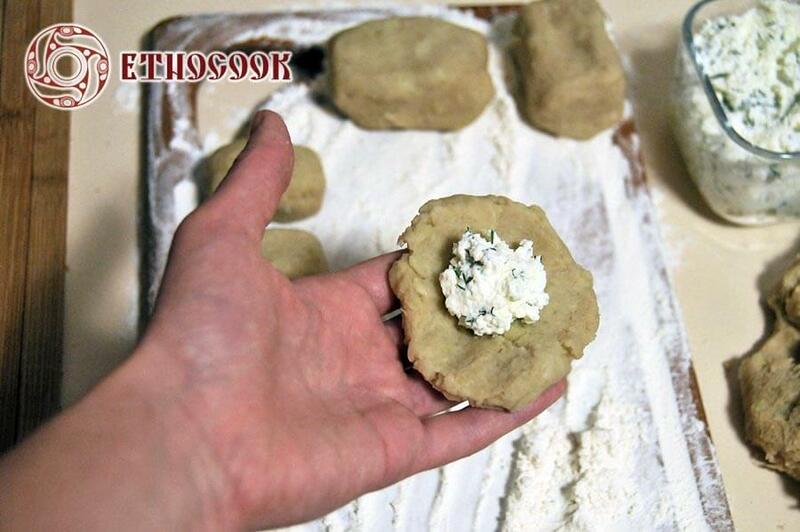 9.Take a small piece from dough, form a circle, put a teaspoon of filling and close it up on all sides. 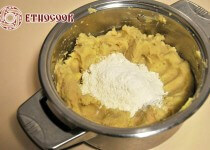 Put raw knydli on floured surface. 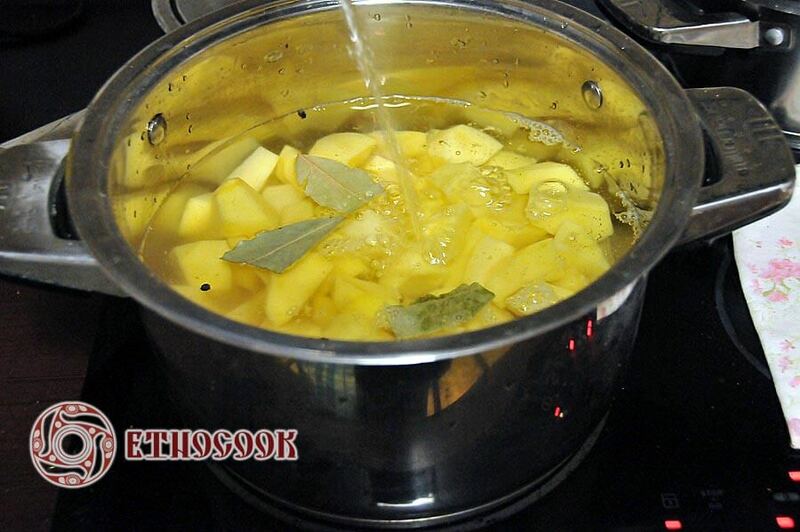 10.In a large saucepan boil 4l water , add salt, black pepper and bay leaf. 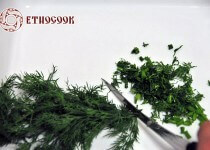 Once boiling reduce the heat and cook small portions ( 5-7 knydliv) . When knydli are on the bottom take them off, pour with melted butter, vegetable oil, add sour cream, fried meat, jerky, greenery to taste.